The 70th anniversary of the Dambusters raid has been marked with a flypast featuring a Lancaster bomber, two Spitfires and two Tornado fast jets. The famous aircraft flew over the dam on Derwent Reservoir in Derbyshire and then over nearby Chatsworth House where the public gathered to watch. A sunset service at the former home of 617 Squadron, RAF Scampton, has also been held with two of the three surviving aircrew as guests of honour. 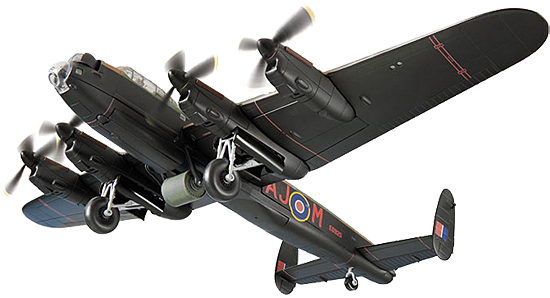 In 1943, led by Wing Commander Guy Gibson, the crews in the 19 aircraft of 617 Squadron, made up of a coalition of the willing from Britain, Canada, Australia, New Zealand and one American, practised dropping the untested bouncing bomb from 60ft over the dam in the Peak District before flying on the actual mission on the evening of May 16. Their target was to destroy three dams in the Ruhr Valley to deliver a punch against Nazi Germany's industrial war machine. They succeeded in breaching the Mohne and Eder dams and damaged the Sorpe but lost eight aircraft and 53 men doing so. Three were captured, becoming prisoners of war. The daughter of Barnes Wallis, the inventor of the Bouncing Bomb, was also at the sunset ceremony at RAF Scampton, which saw another flypast and the Lancaster touch down at the base. Speaking at the ceremony, Air Vice Marshal Stuart Atha said: "Exactly 70 years ago tonight, airmen drawn from across the Commonwealth launched in 19 Lancasters to deliver the most daring operation of all time. "Under a full moon armed with only self belief and carrying bouncing bombs they flew at tree-top level deep into hostile territory to deliver an attack that marked a turning point in the war." Wing Commander David Arthuton who leads the modern day 617 Squadron and is involved in the commemorations told Sky News: "I took command of 617 Squadron in October 2012 and it is a privilege and an honour to lead one of the best-known Royal Air Force Squadrons in this anniversary year. "The dams raid epitomised ingenuity, immense bravery, superb flying skills and the will to overcome adversity. Wing Commander Guy Gibson VC led his team with great focus and utter determination and the qualities and values they displayed then are those that form the foundation of the RAF today." The destruction of the three dams was a mighty blow to Nazi Germany. It has been suggested by some that the mission was largely a PR exercise but in truth it took Germany completely by surprise. The Dambusters demonstrated for the first time that a single bomb could destroy vital infrastructure. It was the first example of precision bombing. The blanket raids that characterised the blitz were the only tactic. And Germany had to rebuild these edifices at a time when they could ill afford to redeploy resources from elsewhere. Wing Commander Guy Gibson was awarded the Victoria Cross for his leadership and bravery on the night. Thirty-three others were decorated. Their average age was in the early twenties. Gibson himself was just 24. I recognised the infrastructure and the published antics were typical of those of us who served under the midday sun in what was then the Trucial States loading Argosies, Andovers, VC10s and the like! A total of 100 truck loads and 35 C-130 Hercules loads of equipment and supplies have been transported out of Bamiyan Province for return to New Zealand. Royal New Zealand Air Force 40 Squadron conducted a total of 16 flights. 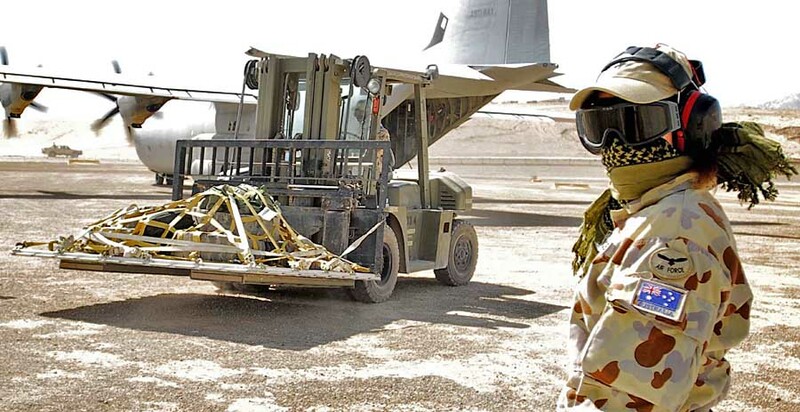 The Defence Force was also strongly supported by the US Air Force which conducted a similar number of C-130 flights, and the Royal Australian Air Force which provided C-130 and critical heavy lift helicopter support. Lieutenant Colonel Richard Weston, Commanding Officer of the mission closure team, says it has been a significant task for the team of 43 personnel. "When we arrived in Bamiyan we had to account for ten years' worth of equipment and supplies," he said. "We identified what needed to be brought back to New Zealand, and items that could be gifted to the local community such as some vehicles, furniture, medical consumables and cleaning stores." He said they were faced with significant challenges during their deployment, due to the isolated location and limited transportation in the area. 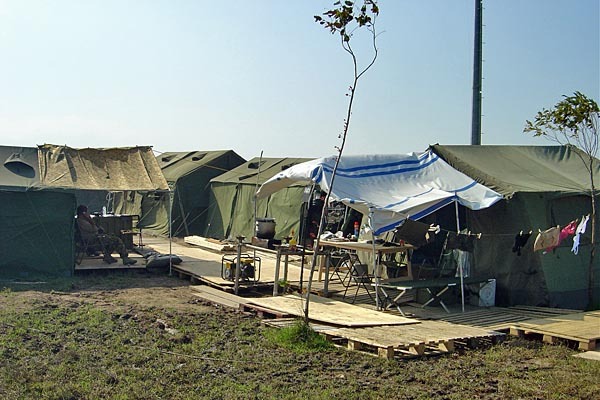 "The NZ Provincial Reconstruction Team (NZPRT) had to maintain operations until the end and needed access to the equipment we were trying to account for, pack and move out," he said. Underlying all of this was a potential threat from insurgents, and unpredictable winter weather. The mission closure team deployed alongside the final rotation of personnel to serve with the NZPRT in September last year. The Defence Force worked with NATO to fit into coalition partners' extraction timelines. The Defence Force also liaised with NZ Customs, Ministry for Primary Industries (MPI) to ensure personnel and equipment met bio-security standards. May on three chartered freight flights. 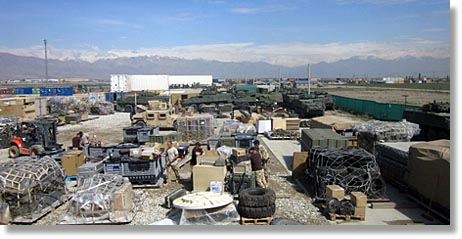 Eight Movements personnel remained in Bagram to assist with the freight loading. A team in Auckland and Trentham will receive the material and transition it through Customs and MPI before reconstitution and re-issue. As always I enjoyed the briefs. Many thanks. It was particularly interesting to see the report on Gan. Although the photo is of poor quality by modern standards you may be interested to see Gan as I first saw it... the beaches still littered with the detritus of war. We slept in tents. By the beach there was a group of palms in the shape of a five in dominoes. The centre one became the table, the other four the uprights for the four corner posts holding up the attap roof. Lo-and-behold... Officer's Mess! Happy days. DURING the week they are builders, postmen and driving instructors. But at weekends they are key members of the Royal Air Force and help to load and unload aircraft destined for Afghanistan. Now the reservists of 4624 Squadron, which is based at RAF Brize Norton, are set to receive a unique honour from Oxfordshire County Council. Today, during an extraordinary meeting, they are expected to become the first group or person to have received the Freedom of the County. Flight Lieutenant Peter Dorward, of 4624 Squadron, said: “We are all very excited. It is an honour. It now means a little bit of work for us because undoubtedly the squadron will have a parade at some point, but that will be very special. Hopefully the awareness this will create will benefit the squadron, and certainly it gives a little bit extra prestige for us.” Flt Lt Dorward is a driving instructor and a councillor on Witney Town Council and West Oxfordshire District Council during the week. 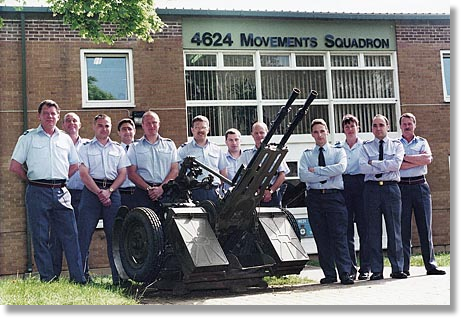 The 4624 Squadron, which formed in 1982 after the Falklands war, is a logistics squadron that helps provide supplies to UK forces and humanitarian aid worldwide. It is the RAF’s largest reservist squadron and comprises about 250 people, the majority of whom are part-time reservists. The part-timers are trained to the same standard as their full-time counterparts and have taken part in conflicts including the Balkans, Sierra Leone, Iraq and Afghanistan. By tradition, it allows the military unit to “march through the streets... with bayonets fixed, drums beating and colours flying”. You might be interested to see the enclosed. 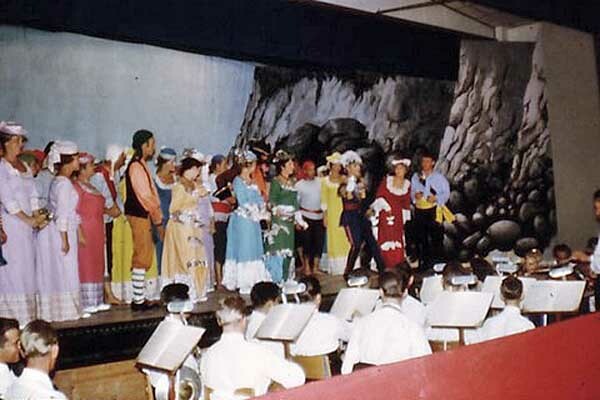 We staged Gilbert and Sullivan's "The Pirates of Penzance" and "The Sorcerer." 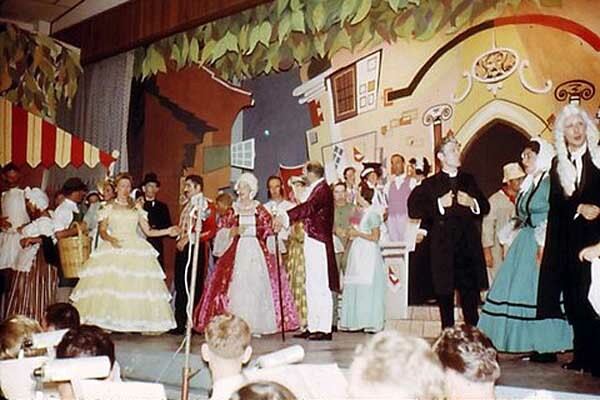 I managed to borrow the F copy of the band parts from Bridget D'Oyly Carte, a friend of my father, and we then staged "Ruddigore " as originally produced..."Ruddy Gore" (name changed because the Victorian ladies couldn't mention the title in their drawing rooms) complete with all the original music and libretto. The costumes for all three were original designs by Maisie, wife of Flt Lt Dave Jones, then with AMS Khormaksar. Our ladies then made all the costumes using materials from the souk in Crater. 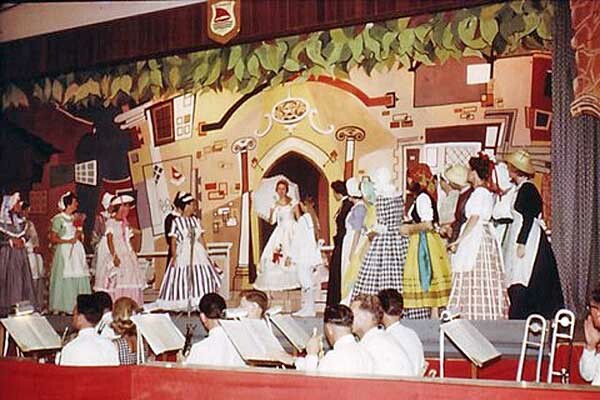 The resident Army outfit at Little Aden provided the orchestras. I can remember seeing the Lancaster at CFB Greenwood in the 60s when deploying Shackletons to Canada. I was reading a book by Hammond Innes called I believe The Land God Gave to Cain and had just got to the bit where they were searching up in Greenland and mentioned it was a Lancaster that had been used. I also believe that it was mentioned in Harvest of Journeys by the same author where he gave details of the places and items that gave him background for his books and he mentioned the registration of the aircraft. 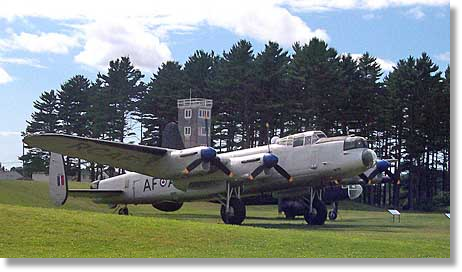 The one located at Greenwood: Lancaster Mk 10AR KB839 was built by Victory Aircraft and delivered to No. 419 Squadron RCAF in January 1945. The aircraft completed 26 sorties, wearing the code letters VR-D. It was twice damaged by German anti-aircraft fire. It returned to Canada after the end of the war in Europe, initially for service against Japan, but was modified after the war to Mk 10AR Arctic Reconnaissance specification. After being struck off charge in 1963, the aircraft was preserved at CFB Greenwood, Nova Scotia. It has received several restorations and is now displayed outside at the Greenwood Military Aviation Museum. study published earlier this month. The Royal United Services Institution's study named al-Minhad air base in Dubai as the likely first candidate for a new British presence, marking the return of the United Kingdom to its former imperial possessions in the Middle East for the first time in more than 40 years. "Just as the U.K.'s withdrawal [from the Middle and Far East] in 1971 created a security vacuum that drew the United States, somewhat unwillingly, further into the affairs of the Gulf, the U.S. cooling of its engagement seems to be drawing the U.K. back in," reads the study "A Return to East of Suez? U.K. Military Deployment to the Gulf." Authors Gareth Stansfield and Saul Kelly note public statements and plans by the British government that point to a deepening strategic commitment in the Gulf. The change is "more evolutionary than revolutionary," the authors say. Nearly all international combat troops are scheduled to leave Afghanistan by the end of 2014. British troops also are leaving Germany, Mr. Stansfield said, adding that British forces could maintain their overseas logistics and supply chains by basing some elements in the Gulf. British military officials already have committed to keeping at least two brigades from their new "adaptable force" deployed in Oman and Jordan to train host militaries and build "tactical level relationships" with foreign allies, he said. The U.S. military calls such forward deployment "force projection," but Mr. Stansfield said a Royal Air Force base in Dubai would be "force projection but in a very British way ... a much more limited way." It would be a "jump in and jump out" spot, he said. Mr. Stansfield noted that British forces will have to "repatriate" a lot of gear, vehicles and weapons as they withdraw from Afghanistan, adding that it might be cheaper to keep some of it in the Middle East. "In recent years, [al-Minhad] has taken on a major role as the most important link in the U.K. logistics chain to Afghanistan," Mr. Stansfield told The Washington Times. The base is "a prime location for U.K. military logistics, transport and deployment" in the Middle East and beyond, added Mr. Stansfield, who is director of the Institute of Arab and Islamic Studies at Exeter University in England. Daniel Sherman, a spokesman for the Royal United Services Institution, said that even though Britain's Defense Ministry has made no formal announcement, its return to the Gulf is "something that is already happening." The British Embassy in Washington had no immediate comment. Conservative government of Prime Minister Edward Heath in 1971, allowing the Gulf states to become independent. Many thanks for another 'storming' newsletter Tony. Nice tribute to 'Capt. Coole'! I was OC Supply, RAF Masirah circa 1971-72... happy days actually. The article in the latest issue brought back memories of an attempted ice landing where I was involved while I was a Loadmaster in or around 1973. We were tasked to transport support equipment for the Northern Warfare training in Churchill Manitoba. We transported Nodwell's, ski-doo's and sleds to different training areas hundreds of miles apart; Resolute, Cambridge, Copper Mine and Fort Smith. We were accompanied by students and instructors. One morning, on arrival at the airport for pre-flight, it was announced to me that we had been asked last night if we could deliver a load of books and school supplies to a mission, and that we had apparently agreed to it! An old dilapidated stake truck showed up with the load. Shortly afterwards, we had a stack 3 ft wide by 12 ft long and 3 ft high of books. We left with the assurance from the front end crew that "everything is looked after" and the mission is preparing the runway and we are expected. Once at the destination we made a low pass and spotted a gaggle of moving dots and some type of vehicles on the edges of a marked landing strip of sorts. Briefings followed and approach checks and the works. In that part of the world there is no way to know if you are 3,000, 300 or 30 for that matter, feet above ground - it is all white with waves. The makeshift runway was marked but did they know how big a C130 Hercules is? The approach and the landing was perfect. As per the briefing, the flight crew flew the plane into the ground till it hit, went into reverse and as we rolled to a slowdown the surprise of a well thought out plan came apart. 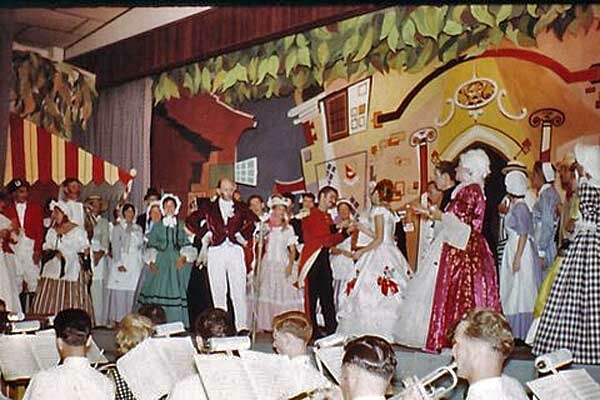 The missionary and their volunteers probably worked for hours preparing the strip. They had made circles of what we figured out was animal blood as runway markers. They were each probably 5 ft in circumference and in the Canadian Arctic, with the 24 hour daylight, the ice and snow turned to mush; the darker colour attracting heat. While the Hercules was rolling down the improvised ice runway, the pressure was forming a wave below the surface and eventually this pressure was released through the red circles and we were greeted by geysers spewing on each side of the strip just ahead of the rolling aircraft, until the commander put the power back on and waved farewell to the spectators. 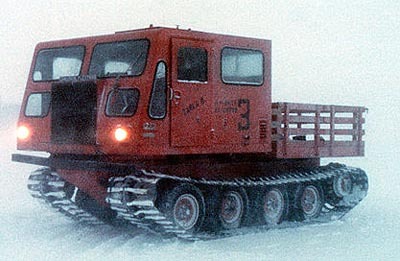 This is probably one of the non-recorded training landings on ice of the 1970's and I was there - standing in the cockpit! Also RAAF Mystery Photo #042613 is of Darwin airport with it's special tower. I was there on the 12 May 72 and on 11 Dec 74. If I am not mistaken I saw an article where the tower was relocated and preserved at a museum. Could be wrong - you know what is the first thing that goes. Thank you for another wonderful edition of UKMAMS OBA OBB, they are a delight to receive! In relation to the RAAF Mystery Photo #042613, I have no idea what it represents. However, I can tell you the aircraft is a C130-H, 36 Sqn at RAAF Base Darwin, Northern Territory, Australia. Why there is no driver on the forklift on the hard stand is a mystery in itself. I will be interested to see what others have to say. The photo has no real significance as it was a standard cargo mission to Butterworth but all the information [in Grahame's e-mail] is basically all correct. We were loading the van in the 'H' bound for RMAF Butterworth. The shot was taken in 2006 just before East Timor kicked off again. The load team was loading and chaining the van hence no driver on the fork at that point. 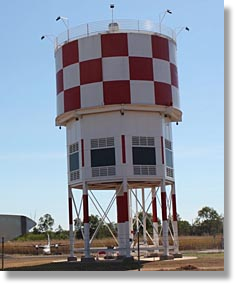 The tower is no longer there and has been restored and placed at the Darwin Aviation Museum. Worth a look if ever in Darwin. Members of the Royal Canadian Air Force travelled to a village near York for an annual service dedicated to hundreds of airmen from a local air base who died in the Second World War. The memorial service was staged on Saturday 18th May in Sutton-on-the-Forest, where a nearby base called Eastmoor was home to 415 and 429 Squadrons RCAF. 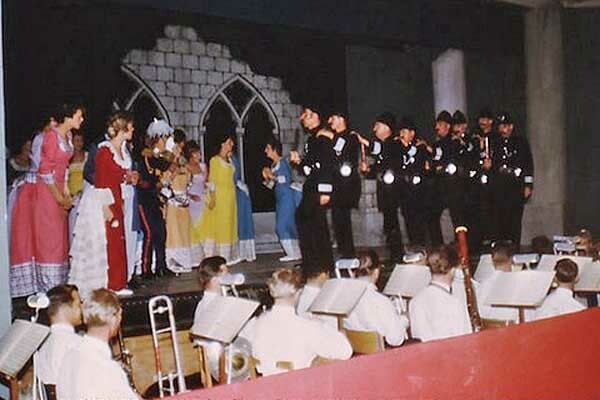 Some 640 aircrew, mostly from the RCAF, flew out to Germany never to return so that we might enjoy the freedoms we have today, said organisers from the Sutton Parish Council. The ceremony, supported by trustees and members of the Yorkshire Air Museum at Elvington, had added poignancy this year as it was also the 70th anniversary of the Dambuster Raids, which many fellow Canadian airmen took part in. 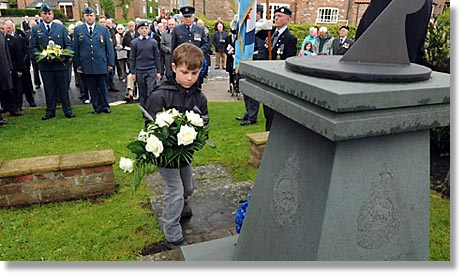 Sutton-on-Forest Primary School pupil Adam Walker places a wreath on the memorial during the memorial service. When a Veteran leaves the 'job' and retires to a better life, many are jealous, some are pleased, and others, who may have already retired, wonder if he knows what he is leaving behind, because we already know. Never think for one moment you are escaping from that life. You are only escaping the 'job' and merely being allowed to leave 'active' duty. CIVILIAN FRIENDS: Get upset if you're too busy to talk to them for a week. CIVILIAN FRIENDS: Keep your stuff so long they forget it's yours. CIVILIAN FRIENDS: Most are for a while. 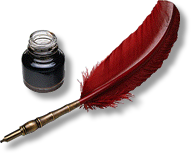 A veteran - whether active duty, retired, served one hitch, or reserve is someone who, at one point in their life, wrote a blank check made payable to "The People and the Government" for an amount of "up to and including my life". From one Veteran to another, it's an honour to be in your company. Thank you for your service to our country and defending the freedoms we enjoy. Our guest speaker today should have been S/Ldr Paul Preston who was due to give us a talk on education and opportunities in the RAF - too late for us! However, he phoned in to say his car had broken down and he could not attend. There was quite a bit for us to talk about as it's the big National Service parade at Cosford on the 2nd of June. The reviewing officer will be the Chief of the Air Staff Sir Stephen Dalton who has a whole string of medals etc after his name and we will be having the No 1 RAF Band. Also we've been promised the Battle of Britain Memorial Flight Lancaster to visit so hope conditions will be okay for it to come. Last year it was cancelled due to bad weather conditions and we've certainly got those at the moment; high winds and it's rained all day. There will be six flights plus the ATC youngsters so it looks pretty good.. 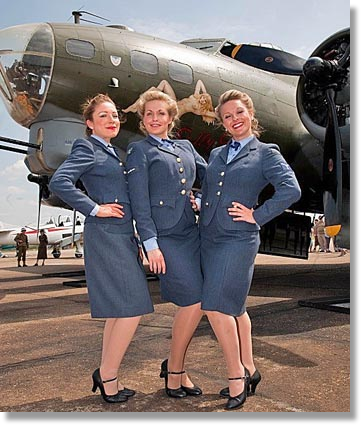 The D-Day Darlings will be there to sing all the old songs for us; do a google on D Day Darlings and you can see a U.tube of them at a re-union. Minimum 5 years Airline/Handling experience either above or below the wing (in one or more core areas such as ramp, load control, passenger services and cargo) in any major international airport. 2 years experience as Flight Dispatcher in a Commercial Airline(Non Omani National) or 2years as an Assistant Flight Dispatcher in a Commercial Airline(Omani National). Previous items not applicable to Omanis who hold fresh Flight Dispatcher qualification. 1. Monitor the general condition of RAMP areas to ensure safe and secure ground operations. 2. Leads the development and promulgation of relevant operational safety instructions ensuring that at all times these align with prevailing performance standards in force and are reissued and published as required. Can you please advertise our reunion: 45th Entry Suppliers/Movers having our 51st Reunion at the Three Counties Hotel July 19th - 21st. Anyone that can help trace old comrades will be rewarded with a great big thank you. Subject: Submarines in the Middle of Norway? While looking through my MAMS tasks log for something else I happened upon a Norway task back in Oct '86 that gave us a bit of a laugh. The team was Sgt Tony Feast, Sgt Taff Owen, Cpl Jim Bissel, Cpl Andy Vicary and of course myself then FS Tony Last. Our load was a submarine mast in a massively long aluminium box which was then crated. 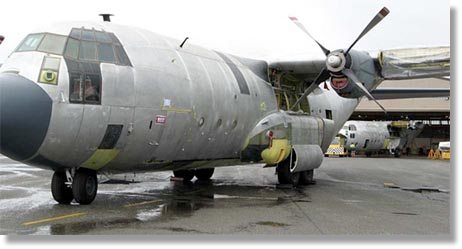 It had to go to Norway for a stricken sub somewhere off their coast and required the use of a Mk3 Hercules (Ac 202). The mast was loaded by the base shift overnight, using a Condec and various NATO pallets and pieces of roller, and fitted quite snugly just behind the winch housing at the front all the way to a quarter of the way up the ramp. Clearly the front was secured to prevent forward movement on the aircraft floor and then the ramp door was closed allowing the crate to rise up the ramp on rollers before it was secured to the ramp floor. We had never seen so many chains on a single box. The first thing we did once airborne was to take half of them off and stow them back into their box. Between us (and the Loadie) we reckoned there were enough lashings to give at least 120g forward and aft restraint and much similar upward. The journey to the arrival at destination went without incident and in the meantime we had a hot breakfast, a couple of ciggies and a read of the paper. Before we knew it we were landing at Kristiansand, Norway, some 1hr 54mins after take-off. Having taxied to the pans we were met by a startled looking Norwegian military person, in a small vehicle with lots of flashing yellow lights. The Loadie jumped off to do the meet and greet stuff and find out where they wanted us to park but came back shortly with a puzzled look on his face. Apparently, the man wanted to know what we were doing on his airfield as they weren't expecting us. After some chatting with HQ38 Group the captain decided he would have a chat with the Norwegian. He explained we had a submarine mast for a sub off their coast and a flight plan to bring it here where the Norwegians were meeting us and on-moving it. The Norwegian was even more puzzled because the sea was 'many, many miles from here' but then nodded his head and asked the captain to come with him. Off they went with the Captain returning some short while later looking somewhat embarrassed. Seems we have landed at the wrong airfield he said. What's this 'we' business we thought. Meanwhile of course we had the ramp chains off so the ramp could be lowered in anticipation of an offload. 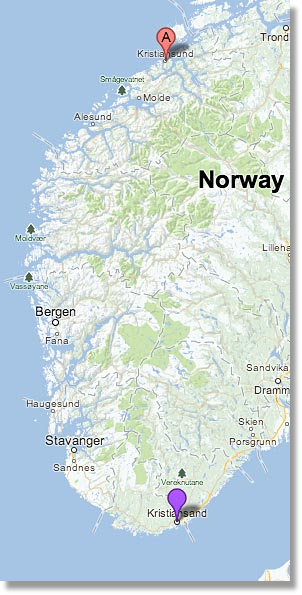 Seemingly we should be at Kristiansund NOT Kristiansand said the Captain. That's at least another hour's flying time north from here. Ooops! Whata mistaka to make, we thought. I think HQ took the rap for it although it was never confirmed to us. Chains back on and off we went to the find the correct airfield. Sure enough there was a reception committee waiting for us on the tarmac. There was also an enormous forklift with a boom about 30 ft high with tines wide enough to pick up your average 3-tonner. It was apparently used in oil pipe laying. Having consulted with the Norwegian powers that be, this was their total asset available to effect the offload. Needless to say we wouldn't let the forklift come within 20 metres of the aircraft as it was absolutely useless. The Captain, now quite exasperated, was back onto HQ38 Group to report the problem and told them it looked likely that he would be bringing the mast back to the UK as there was nothing suitable to offload it, i.e. no transfer loader or Condec equivalent. He said he would have a chat to the UKMAMS team on board for any suggestions. Meanwhile we had completely unlashed the crate reckoning we could probably run it off the aircraft ramp using the NATO pallets and the pieces of roller we had on board if it came to it. The decision was made and all went well until the front of the box (the seriously heavy end) dug into tarmac on the pan and despite all the huff and puff we couldn't move it forwards or backwards. The captain came down to see how long we would be and I explained our problem but also suggested that there was a way we could get round it. Anchor the front of the crate (now embedded in the pan) to a heavy duty D-ring (also set in the pan) close by, which was normally used for securing parked helicopters and light aircraft in windy conditions. 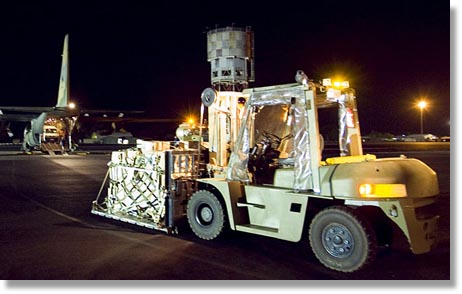 Then, if he started up the aircraft, he could drive it away from the crate and let the aircraft unload the box onto the tarmac while we moved NATO pallets and rollers to assist it on its way. Brilliant he said and off he went to start up. Well it worked a treat and as soon as it was clear of the ramp we shut up and scarpered leaving the few bits of roller and the NATO pallets behind. We've no idea how they moved it from there. Maybe it's been made into an airfield roundabout with suitable flashing yellows. We had a laugh though before disappearing off to the not so funny Lossiemouth for a few days TACEVAL. Oh what joy! This week I and a team from RAF Northolt representing one of each rank from LAC to Group Captain are taking part in The Forces March which is based on a legendary march taken by men of the newly formed 6th Airborne Division during early training for D-Day in the summer of 1942. Following weeks of intensive PT in North Devon the men were told they could stand down and head back to Bulford Camp where they were based. However, one last task was assigned; to walk to Bulford, a distance of approximately 132 miles! The men not only walked back to Bulford but they completed the arduous route in 5 days dressed in full kit each carrying up to 80lbs in weight. Being relative light weights we are only carrying day sacks and are camping out each night in fields adjacent to pubs! Our team includes the Station Commander and the SAMO and of course me as the Warrant Officer. We are taking part in order to raise money for The Veterans Charity founded in 2008. It provides support to Veterans of all generations and focuses on providing everyday items like clothing, household goods, communication equipment and vital mobility provisions like wheelchairs, walking aids and bath-lifts. Whilst many of the items we provide can be classed as 'modest' or ‘non-essential’, the impact they have on the lives of those we support can be immeasurable and they are often given to people overlooked by the larger charities. As some of you may be aware, I have always had a bit of a thing for railways and model railways. Sunday 18th May found me behind the stand of the Colonel Stephens Society (I am its membership secretary) at a model railway exhibition (ExpoEM) at Bracknell, and chatting with a fellow model railway enthusiast, Jon Jewitt. It turned out that Jon was not only ex-RAF but had spent much of his time on mobility, including Coningsby and Bruggen, with positive memories working with MAMS teams on squadron deployments, and is therefore someone probably known to many of you out there. 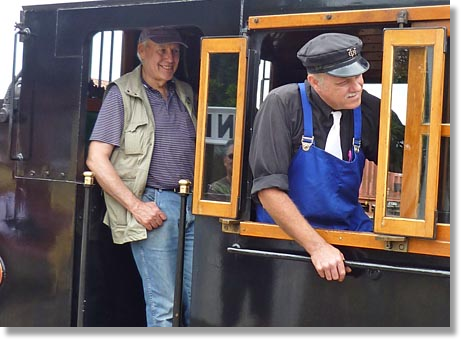 For many years, Jon has been involved with the high technology end of model railways, using computer chips in the locomotives to not only control speed but also other features such as sound etc. As well as now working at Oxford University, he is a co-director of a small company, Sunningwell DCC, which specializes in this sophisticated area of railway modelling. Is it my imagination, or is David beginning to look like Chevy Chase? 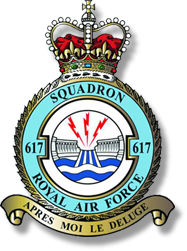 To get to the point of this e-mail at this time of remembering No 617’s dam busting attacks of 16/17 May 1943, Jon reminded me of a bit of RAF non-history when he had been at Bruggen, and we are talking about the 1983-84 period when the Tornados were taking over the nuclear strike role from the Germany Jaguar squadrons. Prior to the new squadrons forming, Tornado aircraft were sent to Bruggen to assist in the marking out the taxying patterns at and to and from the dispersals, the Tornado having a different undercarriage waddle to the Jaguars they were replacing. I had forgotten this story, but the first squadron assigned to Bruggen was No 617 squadron, and it was a couple of their aircraft which were spotted trundling around the taxiways after the lads with the paint brushes. With hind-sight, this deployment was probably not the cleverest of RAF public relation initiatives, especially when it got picked up by the local newspapers. As a result, even before they had arrived, the duty-free anticipating squadron was quickly reassigned as far from the Möhne, Eder and Sorpe dams as possible, namely RAF Lossiemouth. Meanwhile, for a while, RAF Bruggen would have the fun of hosting two No 31 Squadrons at the same time, one Tornado and one Jaguar! For more information on Jon’s latest career see www.scc4dcc.co.uk and for the society for enthusiasts of the standard and narrow gauge railways of Col Holman F Stephens see: www.colonelstephenssociety.co.uk. Believe it or not this somewhat esoteric area of interest currently has attracted just short of 400 members, including members in Canada, USA and Australia. 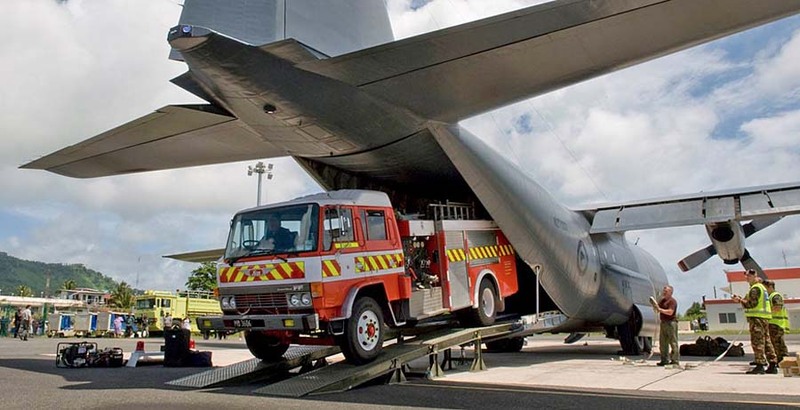 The photo was taken outside No2 Hangar at RNZAF Base Woodbourne as aircraft were swapped for one going out to the paint shop and the other one was coming in to continue with it's Life Extension Programme (LEP) upgrade. At the time of the photo, Base Woodbourne had three of the fleet of five RNZAF C130's that were at varying stages of their upgrade. Can you put a little piece that I was diagnosed on 13th May with lung cancer and am currently in UK at home awaiting treatment. My contact number is 07885 976193, and I would like to thank all the ex Movers who have already sent messages via Facebook or e-mailed me support. The Oromocto Royal Canadian Legion has been reopened after the completion of a new building replacing the original that was burnt to the ground 3 years ago by vandals. All was lost and the branch is rebuilding in every way imaginable and with success. 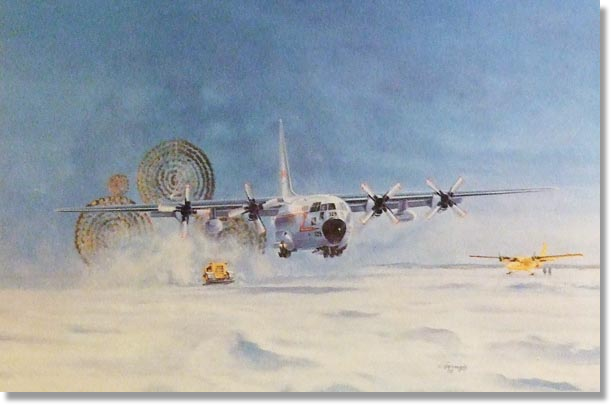 I have decided to make a donation of a framed picture of Herc 329 doing LAPES, along with memorials of Jean-Rene Gionet and Layton Smith. The presentation will take place at the general monthly meeting on the 20 Jun 2013 at 1900 Hrs at Br 93 Oromocto. Friends and Loadmasters in the area are welcome to join me for the presentation. 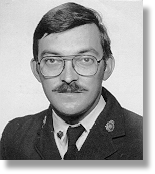 Sgt Jean-Rene Gionet was born on 9 August 1947 in Bathurst, NB and joined the Royal Canadian Air Force in 1967. 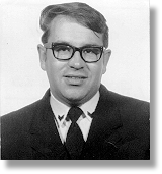 M/Cpl Layton Smith was born in North East Harbour, NS on 12 June 1953, and enlisted in the Canadian Armed Forces in 1972. 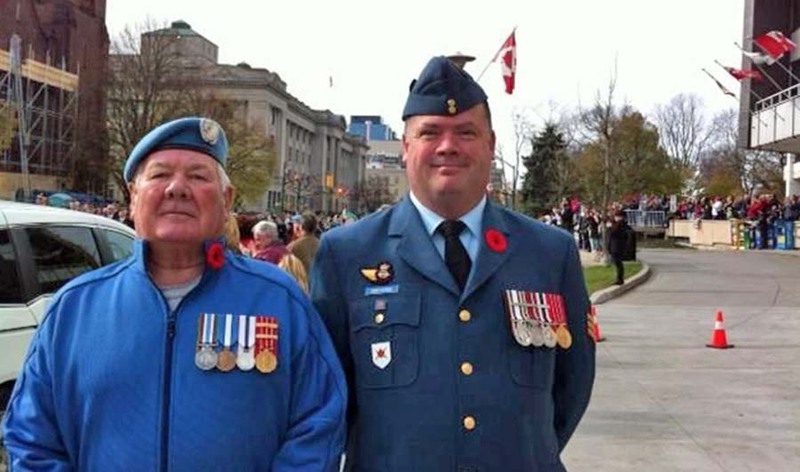 Both Sgt Gionet and M/Cpl Smith lost their lives while flying as Loadmasters on CC130 Hercules aircraft number 130329. 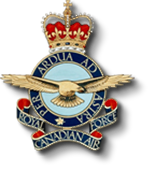 The aircraft crashed near runway 29 at CFB Namao, Edmonton, AB during a Low Altitude Parachute Extraction System mission on the afternoon of 16 November 1982. 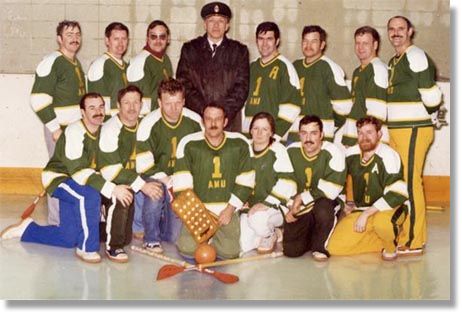 This photo is of the 1 Air Movements Unit Inter-section Broomball team that won the CFB Edmonton Base Broomball Championship 1982/83. 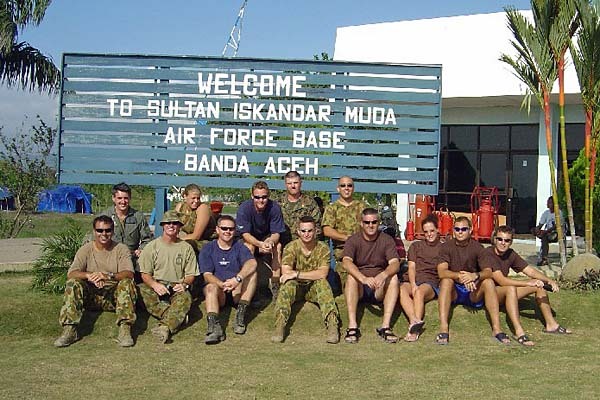 Regarding the email from Trendy about 'Helping out after the Big Wave', the RNZAF Air Load Team (ALT) that was based in Jakarta at the time surged in some personnel to help out up in Banda Aceh. The first 'push' was SGT Tiny Madeley and CPL Brad Antrobus (both now retired from RNZAF service). The second push was F/S (now SQNLDR) Vaughan Jones and CPL (now F/S) Dan Young. 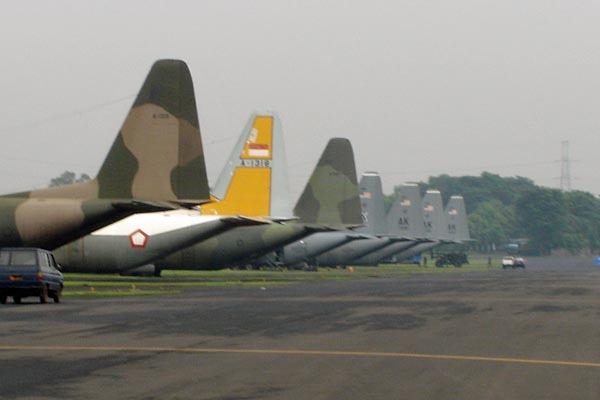 Attached are some photos of the accommodation area and of the Joint Movements Team at BA and one of the flight line in Jakarta. Having arrived in Ozzieland on 10th May 1956, after a four-day scheduled flight on a Super Conny courtesy of Qantas Airways and the British tax payer, I landed in Sydney, then caught an onward flight to Adelaide aboard a TAA Vickers Viscount before I reached my final destination: RAAF Edinburgh Field (EF). 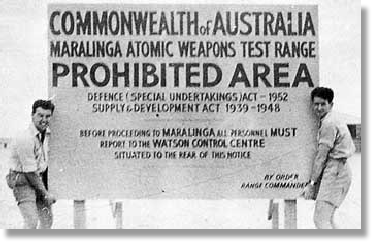 After one month the first RAF airman to serve at the Maralinga nuclear bomb test range left the RAAF base at EF on 6th June. 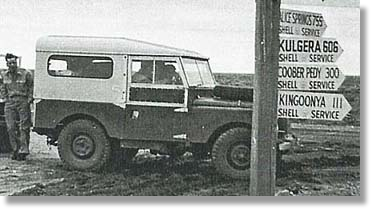 There were six of us detailed for the long journey (1 F/O, 3 Sgt's, 1 Cpl & 1 LAC) and we traversed the South Australian desert in two long-wheeled based RAF Landrovers that had specially been shipped out to Adelaide for delivery to Maralinga. 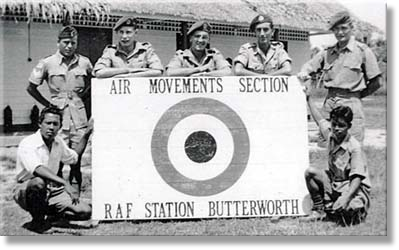 My first tour on AMS duties was at Butterworth whilst serving in north Malaya (1953-54). My AMS boss there, F/Off Walker, took the major share of blame for a Valetta transport aircraft that had crashed on take-off, though that's something that happened before my arrival there in May 1953. Between us we had the super-human task (I mean cushiest!) of managing what must have been one of the smallest AMS units in the RAF, with a staff of three (sometimes down to two) airmen and two local coolies - officially called LEP's (locally employed personnel). As my boss and the airmen were all National Servicemen, this was the only Section I had ever worked on where I was the only regular serving airman. Those were the days! The inscription on the plaque reads "130329 delivered to 435 Sqn Namao AB 26 Sept 1974. Later flew with 436 Sqn Trenton ON. Flew 436 Sqn first operational LAPES mission delivering 64 drums of fuel near Eureka NWT. Crashed and destroyed during LAPES demonstration CFB Namao AB 16 Nov 82; 7 fatalities." Apart from unexpected landings of the odd transport aircraft (Hastings, Dakota), our major role was the handling of the Far East Air Force (FEAF) Valetta aircraft which were scheduled to fly in from Changi early every Tuesday and Friday, en route to RAF Negombo (Ceylon) via Car Nicobar (an island in the Indian Ocean). Of course, after the aircraft had spent an over-night stop at Negombo, we had to handle them on their return journey - not very convenient for us as their landing time was in the afternoon of a Wednesday (sports afternoon) or Saturday (day off). They only called in if we had anything for Changi or the Valetta needed refuelling. Those two ruined afternoons were off-set by my boss and I taking weekly turns to be on duty for those two "off "days, for one of us had to be on the station at all times. Due to our loss of off-duty hours, both of us (thankfully!) were excused all station duties. For me that meant there would be no Orderly Sgt or Guard Commander duties. Yippee! All went well until FEAF's Court of Inquiry into the Valetta accident found that my boss was largely responsible for the crash; after all, he had signed the Form 2870 (Aircraft Weight and Balance Clearance Certificate), so the buck stopped with him. A small part of the blame was attached to the STO due to one of the Valetta's engines failing on the attempted but unsuccessful take-off. Not much height had been gained and the under cart was still down. 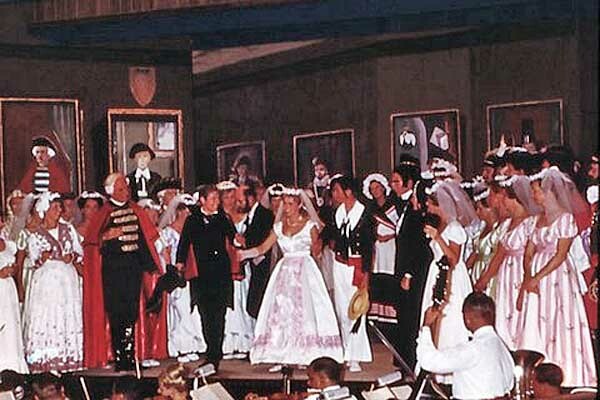 There were no casualties, and because the Valetta had survived without too much serious damage, the crash investigators had all the freight and passengers and on-board freight weighed after the pilot complained of the difficulty in getting his plane airborne. The Inquiry revealed that the plane far exceeded its all up weight. Up to that time, all pax were boarded without being weighed, with an average weight per person being calculated and used instead of being weighed individually. Needless to say, from that crash onwards all pax were weighed. I can never forget the "severe punishment” my boss received from HQ FEAF after the Court of Inquiry findings held him responsible for what could have been a fatal crash. Oddly enough he received another tropical posting, this time to Negombo! That appeared to be a reversal of roles - unless, of course, he was posted to their Equipment Section and not to their AMS. His posting didn't do me any favours, for it took five more weeks before a replacement boss arrived, a stores WO posted up from Changi after his recent arrival from UK. He had never flown in an aircraft until his flight to Butterworth, let alone worked on one. Not only was I confined to camp for those five weeks as i/c AMS, but the cause of the crash had a marked effect on my new boss, WO "Geordie" Redpath, as he was not Movements qualified! Despite my having to teach him the somewhat baffling intricacies of the Form 2870, once he had understood the importance of filling in the form correctly, he was somewhat reluctant to sign them; meaning, I suffered a further couple of weeks confinement until he was confident enough to commit himself to the task. My job would have been a lot easier if he had not been made aware of the reason for the earlier Valetta crash. On completion of my tour I never saw "Geordie" again, but I did learn later that he was awarded an MBE at the end of his tour, so he must have done something special to deserve it. 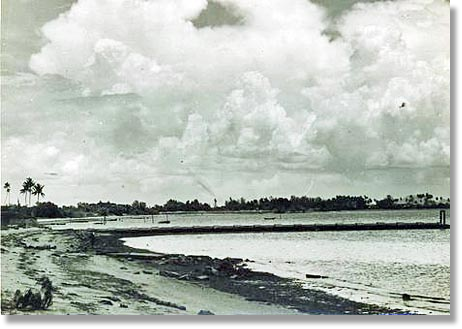 Six months after I left Butterworth, a Super Constellation flying from Hong Kong to Paya Lebar was diverted to Butterworth due to exceptionally bad weather closing down all of Singapore's runways, both civil and RAF. The story hit the local press in a big way as one of the pax was Ava Gardner, the world famous Hollywood film actress. "Geordie" would have met the L1049A airliner and no doubt made a name both for himself and the AMS - all in one job lot! You only have to look at the AMS atap-roofed, wooden-hut passenger lounge to know what I mean. 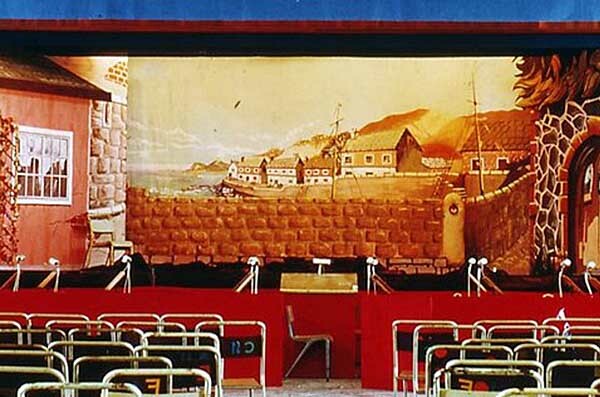 The hut can be seen in the background of the first picture above. There were only two VIPs I met during my time at AMS: General Templer (the High Commissioner & C-in-C of Malaya) and Douglas Bader, but the less said about the latter - the better! It took us four days to reach our middle-of-nowhere destination, where we spent the six months in support of Operation "Buffalo". During "Buffalo, Britain carried out four atomic bomb tests at the site, presided over by Sir William Penney from AWRE, Aldermaston. My posting to Maralinga involved both Supply and Air Movements (S & M) duties. In this dual purpose role I was deputy to F/Off Loveland, the O/C S & M. Apart from RAF Hastings delivering supplies direct from UK, we also attended to the odd Ozzie civilian airliner. After the tests had been successfully completed, the RAF contingent returned to Edinburgh Field in Ozzie commercial aircraft - either ANA or TAA (?). My new job at EF was working in EPAS. The RAF Unit's main role at the RAAF base was supporting the Operation "Grapple" hydrogen nuclear trials that were being prepared for the Christmas Island testing of Britain's first "H" bombs. The most significant of these was carried out on 6th Oct '56 when a RAF Valiant dropped an atomic bomb at the range from a height of 35,000 feet. This was the first launching of a British atomic weapon and proved that Britain now had the capability to carry out nuclear air strikes. After nine months back at EF, my 15 months in Ozzieland were finished and I returned to the UK in 1957, where I was posted to Abingdon, my first Transport Command Station. Note: Although I had served at Benson eight years before moving to Abingdon, it was not a Transport Command station when I was posted there in 1949; it was under the control of Coastal Command. 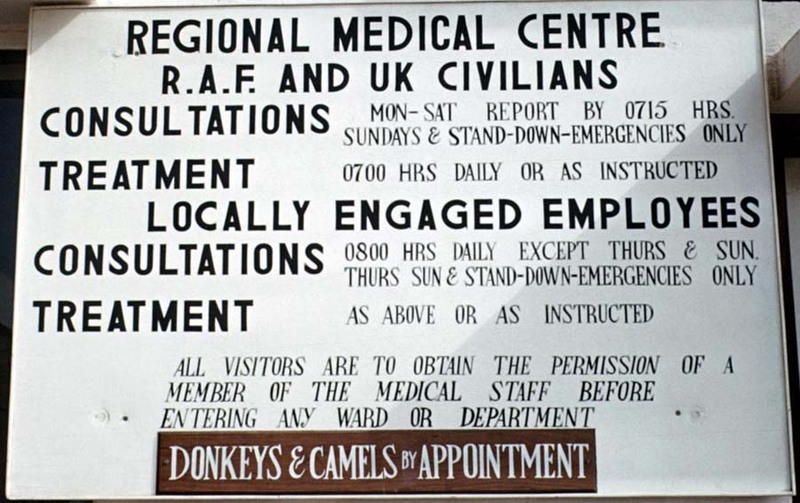 Before I left in 1951 it had changed over to Bomber Command, but don't ask me when it became a Transport Command station. During my time at Benson we had PR Spitfires, Mosquito's and Lancasters - the latter (82 Sqdn) was detached to RAF Takoradi in Gold Coast, West Africa. At that time, Benson had just two transport a/c on the base: the Vickers Vikings of the King's Flight. I came across some old RAF videos that will be of interest to some of the old hands. Here's the first one entitled "Air-Head (RAF El-Adem) (1963)"